Fifty years ago, on April 4, 1968, the great advocate for civil rights equality, Reverend Dr. Martin Luther King, Jr., was assassinated outside his Memphis hotel room by a hate-driven man who thought a bullet could silence Dr. King’s message and defeat his cause. Five decades later, we find that his message is ever timely, even today. Sadly, our country still struggles with matters of racial inequality and injustice. While in some respects we have seen great progress, in too many others we continue to be far from the vision that compelled Dr. King to march, to speak, and to act. We rejoice where we see unity, racial diversity, and equal rights for all people, but we lament that the causes for rejoicing are not more commonplace in the social narrative of our country. We grieve even more profoundly that the weekly Christian worship experience continues to be one of the most segregated times in the American culture. We believe that Dr. King’s ambitions were and continue to be both noble and biblical, and worthy of our individual and collective pursuit. By seeking justice and equality for those who do not presently enjoy those blessings, these rights may one day be available to all people, even those who aren’t currently in need of them. We recognize that in many ways, SBC reflects the community in which it exists. Even so, on this 50th anniversary of Dr. King’s death, we recognize we have tremendous room for growth and incredible opportunities to advance the ideals of diversity, inclusion, and equality for all people through the ministries of our church. We recently offered a class on the Church and race at the Shea campus that was both informative and challenging (and we will be offering it again in the near future, with hopes that even more people will attend). We participated in the live stream of the MLK50 conference in Memphis, where we were reminded that Civil Rights issues are a Gospel issue. We were inspired and exhorted to renew our efforts to extend the loving ministry of Jesus to people who look different from us. We recommit our determination to listen more, seek to understand better, and love without bias all people in the name of Jesus. Even while we are thankful that God has blessed SBC with broad ethnic/racial representation, to say we have great potential for more diversity is an understatement. May God’s Spirit not only stir up our passion for racial equality, justice, and representation, but also stir up our imagination to pursue a Spirit-led strategy that will shape these passions into plans of action. May the Lord lead us to a color-blind view of all people where we see their Gospel potential and worthiness of our best love and service. May God bless SBC to increasingly reflect the Kingdom of God with the full spectrum of races, ethnicities, and all people. 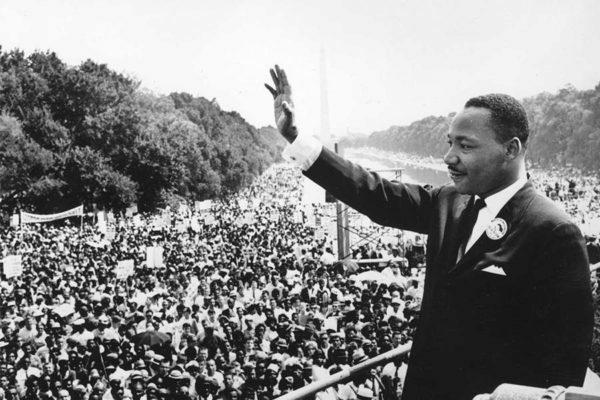 May Dr. King’s dream become a soon-realized reality at SBC and beyond to the glory of our Lord and Savior, Jesus Christ!